When we say “It’s more Fun in the Philippines”, we really mean it! Pack your bags and start planning for an adrenaline adventure in some of the top destinations in the Philippines. Here’s a list of activities and attractions to enjoy with your loved ones. 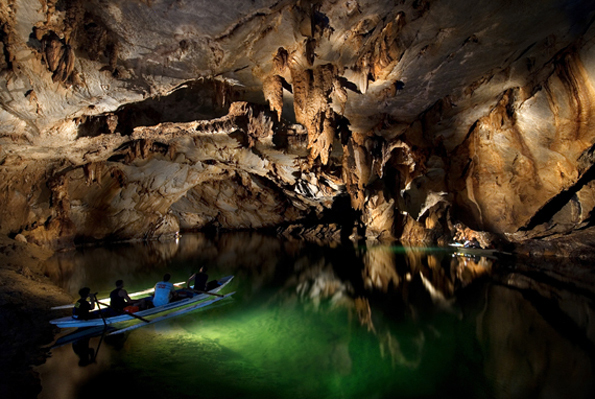 The Palawan Underground River or Puerto Princesa Subterranean River, is one of the ruggedly beautiful and environmentally significant tourist sites in the world. The Puerto Princesa Subterranean River National Park is a protected area of the Philippines and flows directly into the sea. Until now, it is home to complex ecosystems that have adapted to living underground over hundreds of years. Many of the animals in the caves are rare and unique, including types of giant spiders, crabs, fish, snakes and bats. With only the boatman’s headlamp lighting the way, this activity is perfect for those who want to witness an otherworldly place. 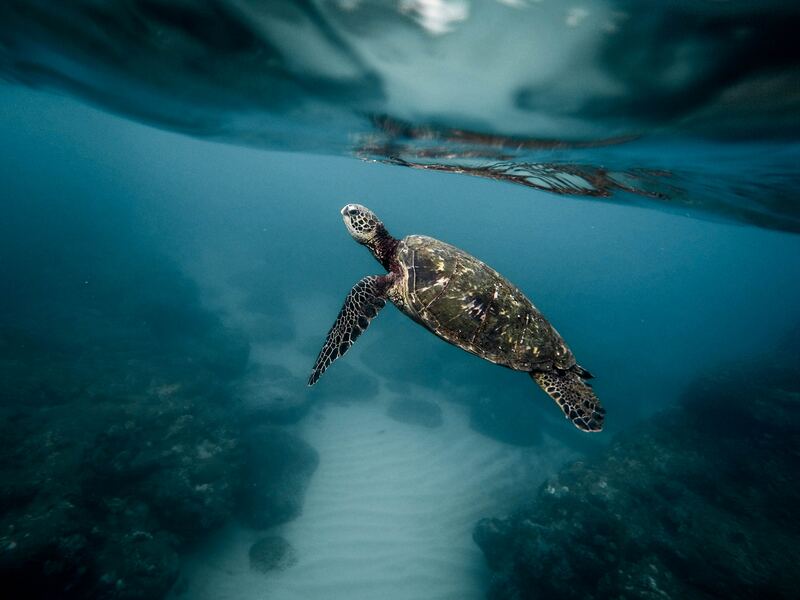 Get a glimpse of the breathtaking underwater life by diving with sea turtles. Home to endangered Pawikans, the Turtle Sanctuary located in Dumaguete is the perfect place to dive, snorkel and swim with sea turtles. It’s an enclosed area with marine life diversity; a seabed covered with 400 species of coral and 650 documented species of fish that can be found in its protected waters. It is also acclaimed as one of the best diving spots in the world. 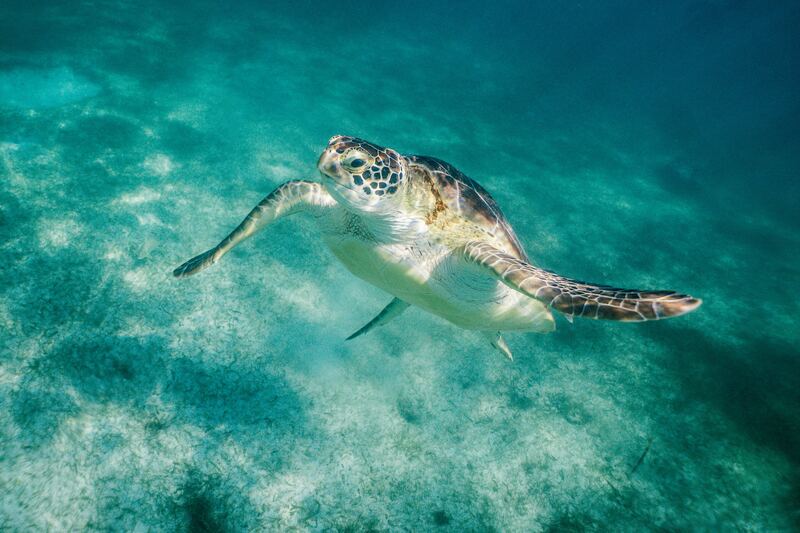 However, there are certain rules established for the preservation of its marine wildlife. Tourists are prohibited from feeding or touching the turtles. People are also warned not to stand or step on the coral reefs, for those are the natural habitat that ensure the well-being of the sea turtles of Dumaguete. 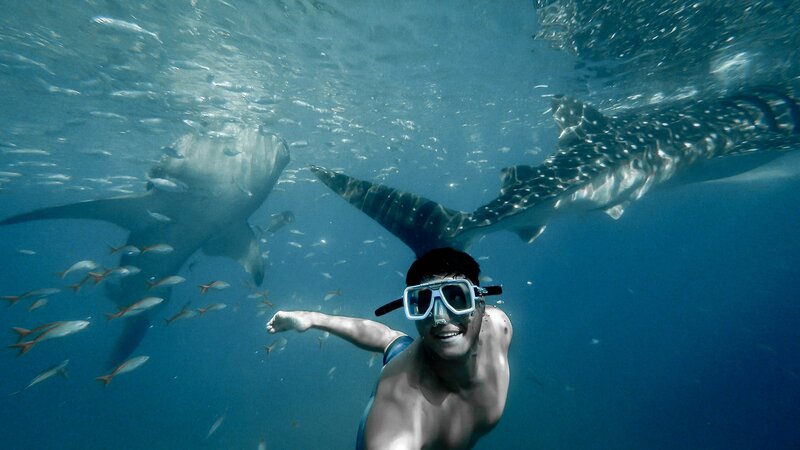 Oslob is a perfect destination to swim with whale sharks in the Philippines. No one can deny the fact that swimming with whale sharks is an incredible experience that will get your heart pumping. Enjoy a scenic 2-3 hours drive to Oslob from Cebu City or Mactan Island. Whale sharks, the gentle giants of the sea, are completely safe for humans. They often do not respond to people swimming nearby, although some people would even go beyond as touching them. However, this is prohibited for safety. Swimming with whale sharks truly is a unique wildlife interaction that you wouldn’t want to miss on your next trip to Cebu. 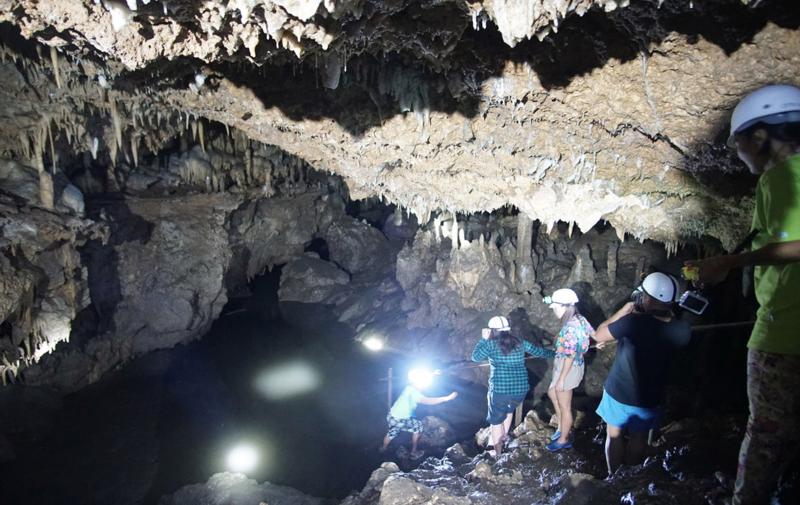 If you like heart-pounding extreme activities, one of the must-visit places in Siquijor is the Cantabon Cave. Located in Barangay Cantabon, it’s a 20-30 minute continuous ascend up the beautiful mountains of Siquijor, where a refreshing garden can be seen at the entrance of the cave. Before you start exploring the 800 meter long cave, prepare to get wet, dirty and amazed. Beautiful natural formations like stalagmites and stalactite rocks are all over the cave. However, cave spelunking is not for the faint of heart! Be prepared to crawl, duck, and climb rock formations. You don’t have to swim but you’ll surely get wet wading through waist-deep water, so it’s best to wear sandals or sneakers on your trip. The Chocolate Hills Adventure Park, located in Bohol, offers the latest ecotourism adventure park that’s perfect for adrenaline junkies. 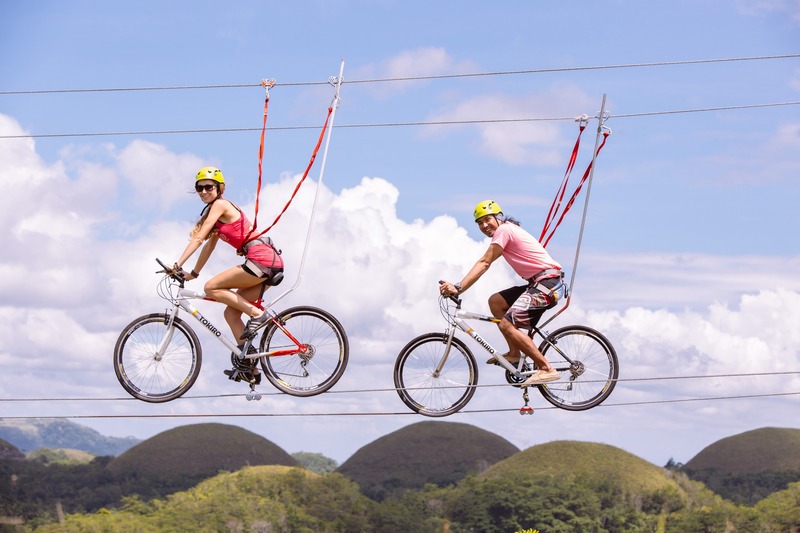 A mere 1 hour and a half drive from Tagbilaran City, one can experience a breath-taking 360-degree view of the Chocolate Hills while biking your way mid-air on the “Rush-Bike” Zipline. There are tons of activities to explore, such as nature trails, horseback riding, mountain riding, and many more. In this adventure park, you can weave through the hills with a magnificent view of the Chocolate Hills. 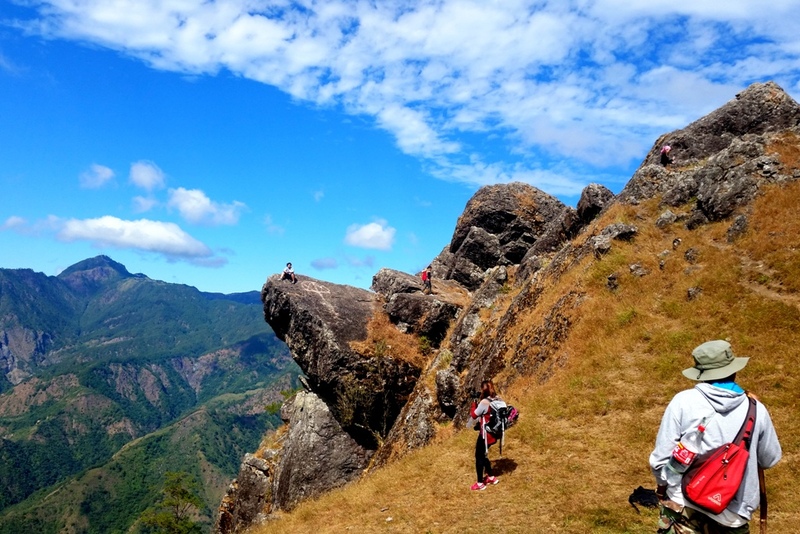 If you want to try something challenging to experience in Baguio City, try Mt. Ulap Eco-Trail. This hiking experience will leave you with a far greater appreciation for nature’s scenic beauty. The 4 to 5 hour hike will lead you to different peaks, which all end with a beautiful and breathtaking mountainous view that is worth all the sweat and hours of hiking. You can take a jeepney from Baguio to Ampucao for about 40 minutes, then head to the Barangay Hall of Ampucao for registration. From there, you may start the trail and enjoy the scenic nature walk. 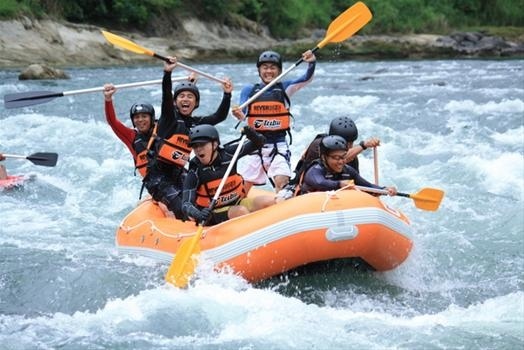 Another heart-pounding adventure to consider with family and friends is the White Water Rafting in Davao. Before heading off to the wild rapids, you will be taught to float and get back aboard the rubber boat for safety. The rush of water and challenging rapids will leave you wanting more. Many times, your guide will encourage you to get off the boat into the water and be drifted by the currents. Along the river you will get to see forest birds and other animals within nature. At the end of the day, you will be given a copy of the snapshots taken during your adventurous ride in the rapids. If you want to have a fun time with your loved ones, there’s no better place than The Sandbox. Located in the Alviera property in Porac, Pampanga, The Sandbox is an all-in-one entertainment adventure facility that offers activities and attractions. With a number of physical challenges that are guaranteed to get your hearts racing, a weekend spent at the SandBox will definitely be one for the books. 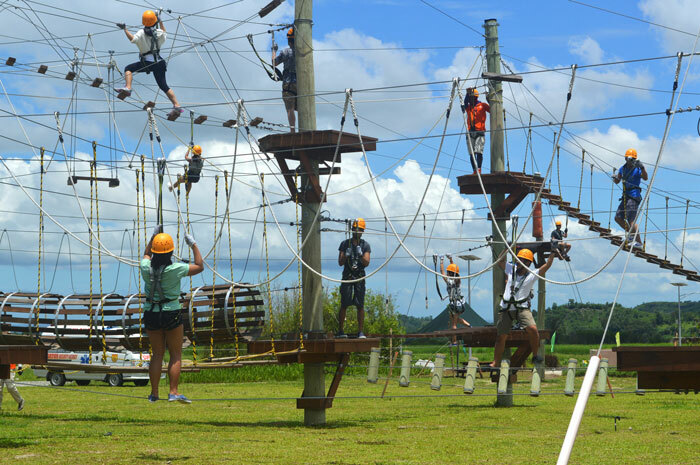 The Adventure Tower offers extreme activities like rappelling, wall climbing, and jump-off free fall, while providing the most spectacular view of Alviera, Pampanga. Plan a trip in these destinations! Book ZEN Rooms in Davao, Palawan, Dumaguete, Bohol, Pampanga, Cebu, Siquijor, and Baguio. Visit www.zenrooms.com or follow us on Facebook and Instagram for discounts and promos.